The Ucayali River is one of the highways of the jungle in Peru. 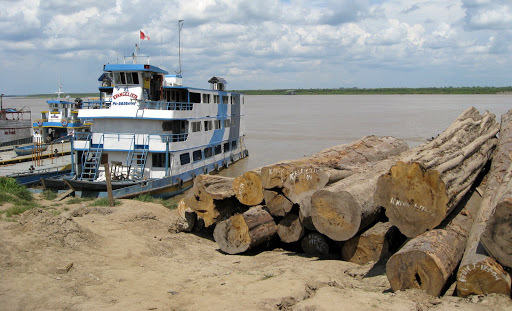 Huge rafts of logs tied together ply the rapid water, stopping in Pucallpa for the sawmill and export to the world. A ReachGlobal partner church in Pucallpa has as one of its primary ministries the evangelization and disciple-making of the tribal villages far into this Amazonian region. The Evangelista (pictured above) is a key tool in this outreach effort. With this “lancha” (boat) many unreached people are now accessible. Pray for the people of Pucallpa as they use available resources to build God’s church with the gospel, discipleship and compassion works.